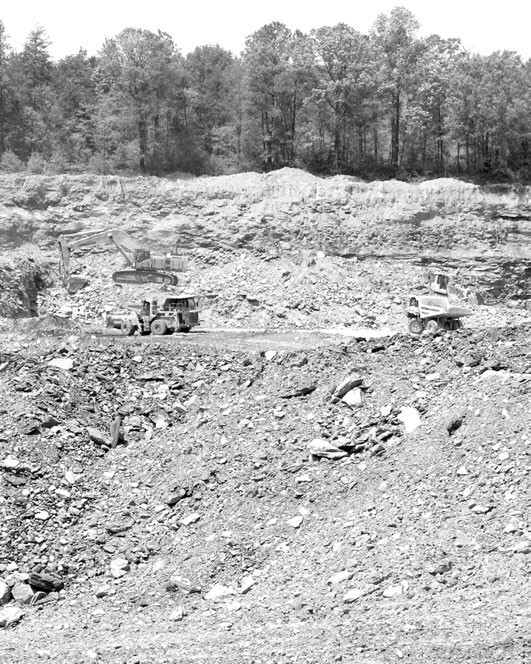 Sugarland Mine in Walker County will be site of the free workshop. Have you ever wanted to travel back in time? Since no time machines are available today, your best bet is to explore the ancient and fascinating worlds hidden in the fossil record. Become a detective of ancient lost worlds this summer on an expedition to an ancient coal swamp that existed long before the first dinosaur. The following week, explore a world of fossils so small they are ignored unless magnification technology is used to see them. That same technology will be used to discover delicate Ice Age insects trapped in fossil tree resin. Ashley Allen, recipient of a 2007 Presidential Award and Oneonta High School teacher, and Blount County Memorial Museum will present two free paleontology workshops in July. will be an expedition to an active surface coal mine in Walker County. This workshop is scheduled for Monday, July 6. Those attending the expedition will meet at the museum at 8 a.m. to depart and can expect to return by 3:30 p.m. Travel to and from the mine and lunch will be provided. The party will be joined at the site by members of the Alabama Paleontological Society. Participants will be briefed on collecting safety, etiquette, and general mining operations. Following the briefing, the group will collect in the spoil piles of the active mine. Participants will be able to keep what they find. Exceptional finds may be placed on loan with a museum. Due to a potentially physically challenging environment and resources available, the age limit is 12 and older for this workshop and space is limited to 12 participants. will introduce the audience to the world of micro-fossils and fossilization processes in general. Participants of this workshop will receive two pieces of copal (ice age amber) from Columbia, South America, to polish in search of insects. Also, each participant will receive a sample of Cretaceous (dinosaur age) matrix that is loaded with small fossils to search. Stereoscopes, digital cameras, and a digital projector will be used to share discoveries magnified to larger-thanlife proportions. Each participant will also receive a photograph of one discovery from the workshop. is limited to 20. This workshop will be conducted at the museum from 1 p.m. to 3 p.m. on Monday, July 13. For more information on these workshops or to sign up, contact Amy Rhudy, curator, Blount County Memorial Museum, at 625-6905.